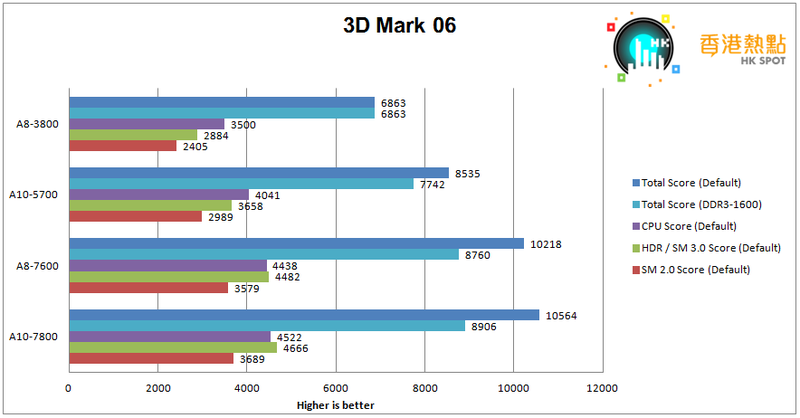 For 3D Mark 06, A10-7800 and A8-7600 were faster than A10-5700 by a 20% at maximum memory speed. When the memory speed were limited to DDR3-1600. The lead shrank to 15%. Although A10-7800 has more GPU resources (8 CU vs 6 CU for A8-7600), the lead was very tiny. 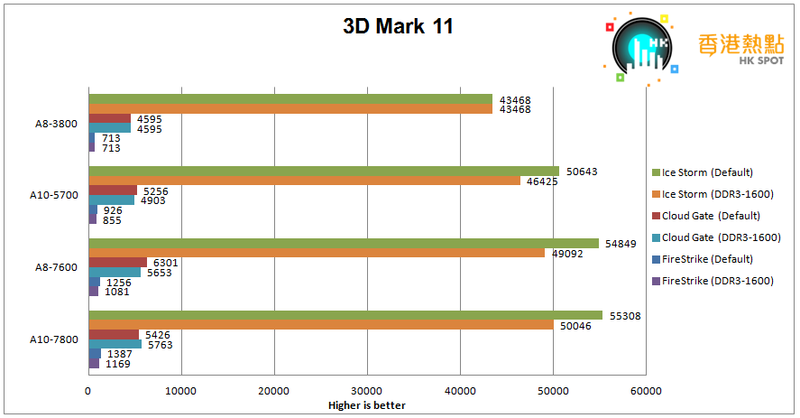 3D Mark 11 offered similar results with 3D Mark 06, with the performance difference even smaller.